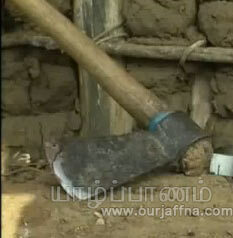 From long time of our life an axe is an essential part in rural areas. An axe is used to cut the wood into favorable size of firewood. In ancient times axe is used as a war weapon. It can be seen as a wooden handle with sharpen end with metal. Especially iron is used as the sharpen end of the axe. During ancient time the sharpen end is made out of stone. Even now axe is being used in remote areas to cut the fuel wood. Most of the households have an axe at home. Firewood can be divided in even small pieces to fit into the hearth holes. 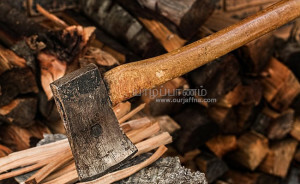 Axes can be seen as two types; one with long wooden handle and other with short wooden handle. Smaller axe is called as ‘hand axe’. One who has the experience in chopping with axe with longer log into even pieces; it can be achieved only by practice. Sometimes the axe hit the ground or a stone and broke in the shaper end is occur. However the axe is an element in remote areas and with our lives as equipment.